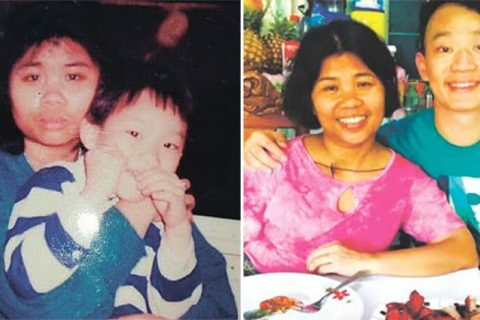 In recent years, there are a lot of money saving challenges that have trended in the Philippine social media landscape. There’s no doubt that saving money is very important for future instances, especially in case of emergency when you need instant cash. But it’s also fun to see that people today are becoming more and more creative in looking for ways on how and where to save their money. 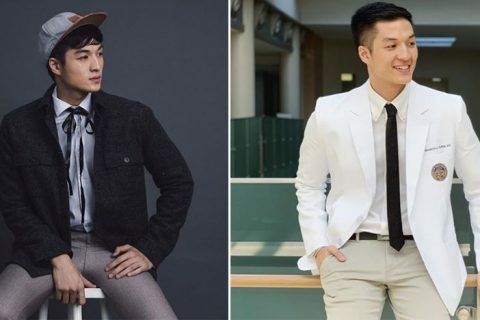 Just like the video footage of this ‘New Ipon Challenge Using Water Tank’ that has been circulating in the internet and elicits comments from the netizens. 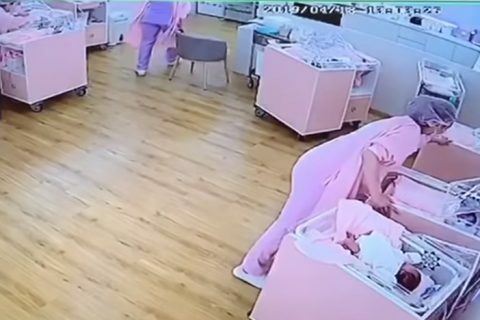 Facebook user Benigno Jun Rambo Lacap, Jr. posted a video that seems ordinary at first. His post has a caption of, “bago makuha ng madali ang inipon. 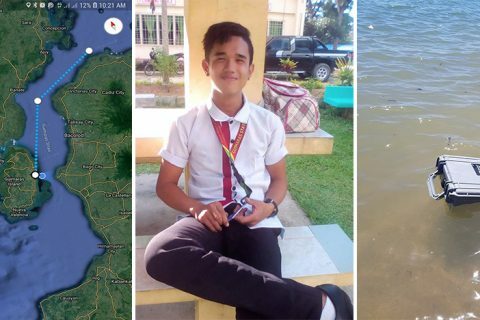 kailangan pa e cutting un tanke ng tubig”. 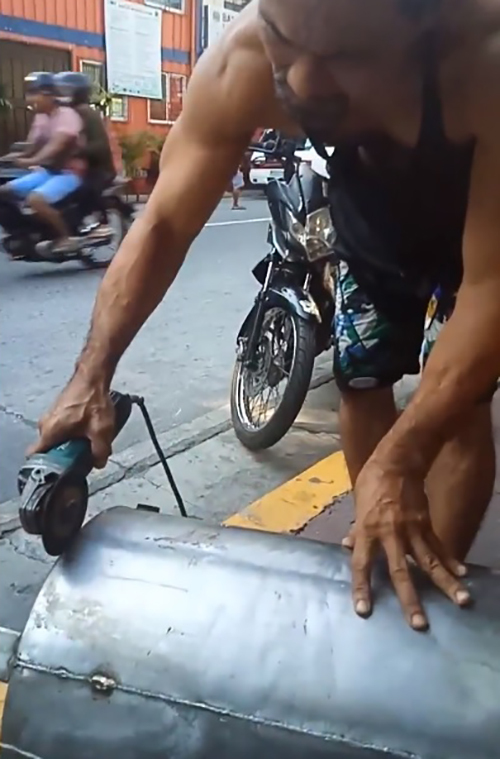 In the video, you can see the man holding a metal grinder that he uses to cut and open the water tank they placed on the ground. 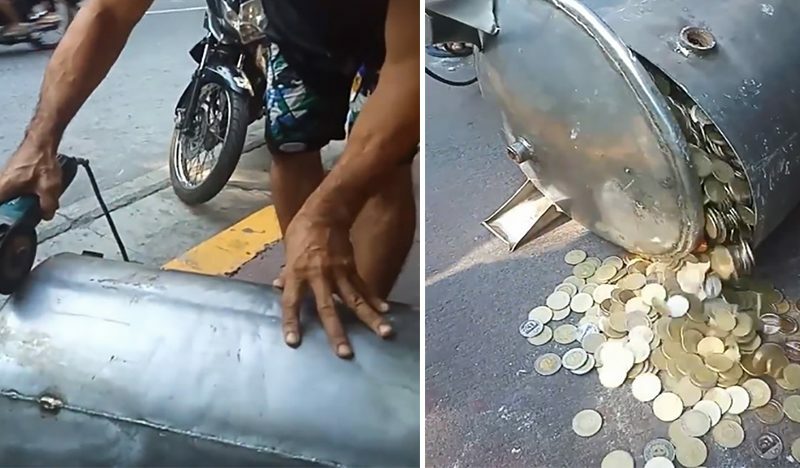 While he was busy grinding the bottom to open the tank, you can hear in the background of the video that one of the spectators commented, “Dahan-dahan pare, baka yung pera maano” (Be careful, you might hit the money inside.) Another man can be heard saying, “Isang taon yata bago napuno yan ah!” (It must have taken a year to get that filled!). The rest of their conversation can’t be heard clearly because of the loud noise made by the grinder. After few minutes of grinding, the mystery content was revealed as coins started to spill slowly. 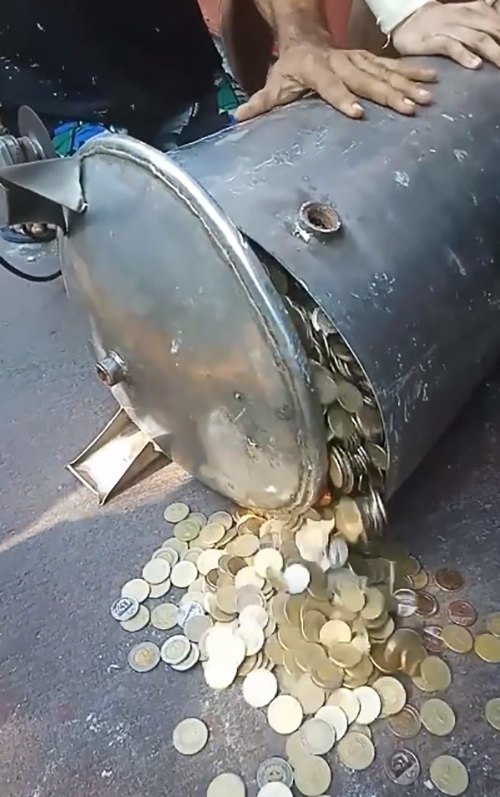 The water tank was filled with mix of the old and new versions of 5 and 10-Peso coins. 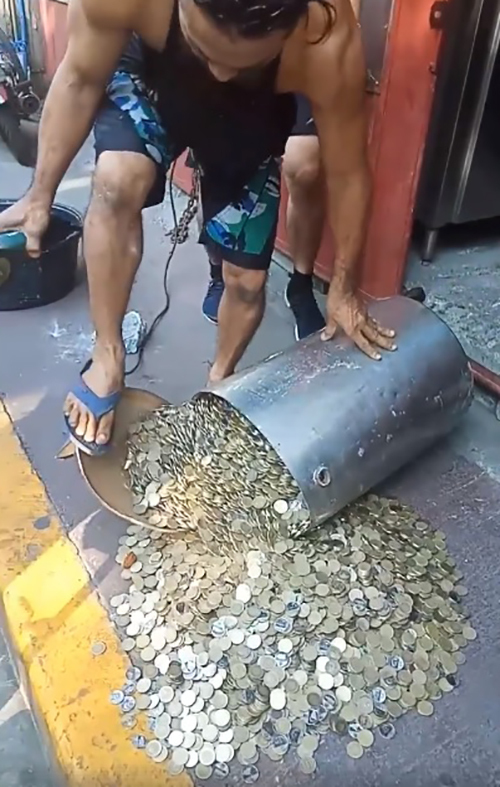 When the man fully opened the water tank, they had to shake the water tank just to get all of the coins from the inside and then they started collecting the coins and placed it into bins that they had nearby. Some of them can’t help but wonder how much money he was able to save with that thousands of coins.